Apparently today is the first day of Spring... here the sky is white and it is so very cold! 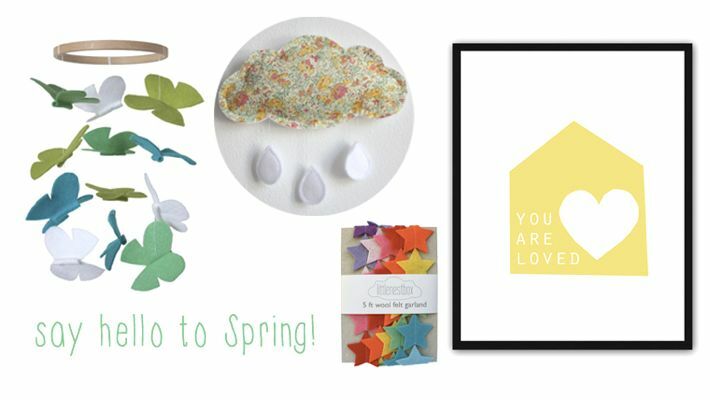 In the hope that the weather will catch up and it will start to feel a little more like Spring, here are my Spring picks from littlenestbox. Also, don't forget to enter the littlenestbox giveaway on facebook to win a 'you are loved' print. The giveaway runs until the end of March, and is open worldwide. Good luck! The colours and patterns in your liberty spring cloud are so lovely, they do feel very spring like. We had lots of snow here today...the novelty is wearing off.